#Westport CT–Chief Robert Yost was on hand to congratulate Recruit Firefighter Nicholas Marenna as he graduated the Connecticut Fire Academy Recruit Class 59. The Recruit Firefighter program is a 70 day, 14-week, residential course that focuses on developing the knowledge, skills, and abilities needed for a new firefighter to preform entry-level tasks under direct supervision. 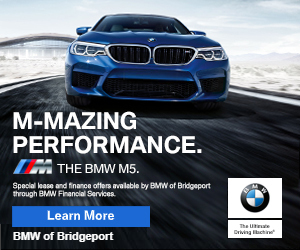 11:35pm–#Bridgeport CT–#cttraffic– I-95 exit 27 A southbound is closed due to a crash according to radio reports. 9:20pm–#cttraffic– Avoid I-95 northbound due to a rollover accident between exits 15 and 16. Reported to be in the left lane.